Daudi Matsiko - An Introduction To Failure. CD. Naim. CD release with reverse board outer wallet & printed lyrics inner wallet. Comes with 6 limited edition postcards with individual hand drawn & signed envelope. Limited run of 50. 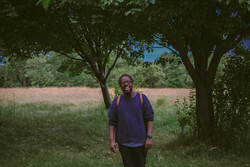 The confessional, folky sound of guitarist Daudi Matsiko is much in demand, after his collaborations with electronic acts Booka Shade and Kyodai, an appearance at Red Bull Music Academy, and tours with Keaton Henson, GoGo Penguin and Portico Quartet. The mellow fingerpicking guitar of Daudi Matsiko really gets to you. Listen to one of his disarming songs from his double EP for Naim Records, and it’s like a personal performance; as if he’s stood in front of a microphone on the other side of the room, his melancholy melodies ringing out with absolute accuracy. Hear his song ‘Take Me Old’, and enter a hushed gig venue, all ears and eyes entranced by the music unfolding before them. Daudi’s music hypnotises with an economy of elements. It’s with just guitar, autobiographical lyrics, hints of saxophone and synth that he weaves a magic spell. This artist’s songs are taking him places. Daudi recently travelled to Montreal to take part in prestigious music making workshop Red Bull Music Academy, while two of the most renowned acts in underground dance music, Booka Shade and Kyodai, have come calling for collaborations. 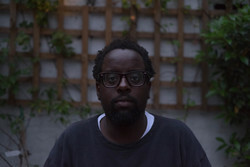 Daudi’s first two, self-released EPs, ‘the Lingering Effects of Disconnection’ and ‘A Brief Introduction to Failure’ have been collected on his eight-track long-player debut for Naim. The words of these songs, startling in their tales of personal experience, intensify his warm tones. Highlight ‘You Can Do Better Than Me, But I Hope You Don’t’ details with heart-breaking directness the decline of a relationship. Each of his songs has a therapeutic purpose. “My songs all have a cathartic intention in some way,” Daudi has said. Daudi was born in the UK to Ugandan parents, and became hooked on guitar at a young age. Encouraged by a great music teacher and friends he’d later form a band with. He grew up with eclectic influences, from Radiohead to the jazz of John Coltrane and Miles Davis, post-rock bands Mogwai and Slint, and trip-hop fusileers Cinematic Orchestra. While he was attracted to heavy sounds as a teenager, he came to favour sparse, quiet arrangements instead. The direct simplicity of guitar and voice became his medium of expression. Daudi’s music rings out with a dazzling brightness that will delight lovers of quality sound. That’s partly thanks to the mixing of Wah Wah 45s recording artist Adam Scrimshire, who tunes his acute ears to Daudi’s songs and brings their intimacy to the fore, capturing the living ambience that makes Daudi’s music such a pleasure to listen to. “He’s really good at bringing out the warmth I’m looking for and general size,” Daudi has commented.